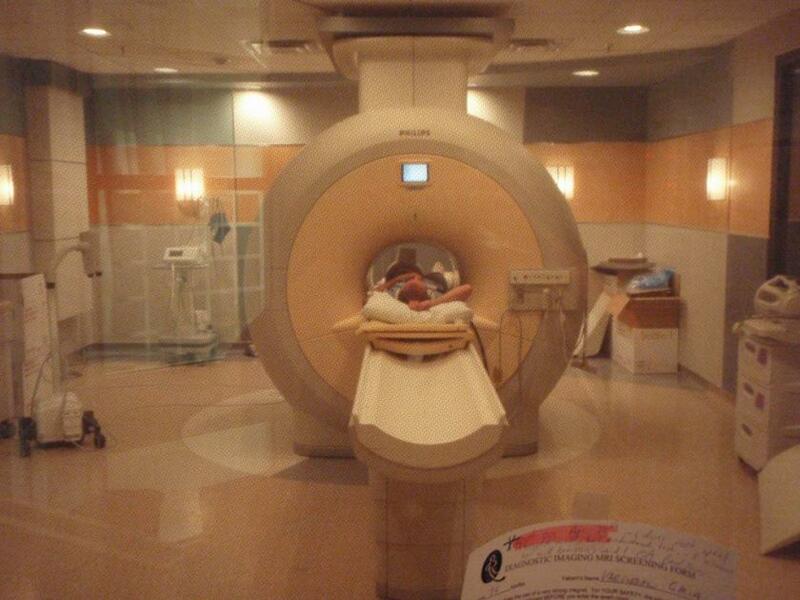 Magnetic resonance imaging (MRI) is a technology that produces detailed pictures of organs, soft tissues, bone, and other internal body structures for the purposes of detecting and diagnosing diseases. Commonly, a type of intravenous drug known as a contrast agent is used to improve the visibility of internal structures during an MRI. A new research article verifies past claims that some of these contrast agents pass the blood brain barrier and leave behind a potentially toxic metal. Gadolinium-based contrast agents (GBCAs) have been used over the past 25 years in more than 100 million patients around the world. Their safety profile was believed to be exceptional, since just 0.03 percent of all administrations resulted in negative side effects for patients. These commonly used compounds are based on, as their name suggest, gadolinium; this metal ion moves differently within a magnetic field and that's the reason it is used during an MRI. Unfortunately, gadolinium is known to be toxic. For many years, scientists generally assumed that patients’ bodies excreted GBCA shortly after their MRIs and whatever tiny amount of the drug remained behind was simply inconsequential, causing no detrimental health effects. In 2006, though, two European studies suggested a relationship between GBCA and nephrogenic systemic fibrosis (NSF), a serious syndrome that is potentially fatal, in patients with renal disease. Following these studies, the Food and Drug Administration (FDA) revised its labeling requirements and warnings in 2006 (and then again in 2010), but then another study published in December 2013 suggested the possibility that a toxic component of GBCA may remain in the body — and in the brain — long after an MRI is completed. The current article addresses these claims as scientists from the University of Pittsburgh investigate prior research to determine the possible hazards of these drugs. “At this stage, we now have clear evidence that the administration of various GBCAs results in notably varied levels of accumulation of residual gadolinium in the brain and bones of patients, even those with normal renal function,” wrote the authors in their published paper. They admit, however, that only some, but not all, GBCAs lead to residual accumulation of the toxic compound, while the clinical significance, “if any,” remains unknown. Still, they recommend both caution when using these drugs and further research to understand their effects. In its most recent warning, the FDA decided all GBCA labels must emphasize the need to screen patients for kidney dysfunction before administration of these drugs. In particular, FDA selected three GBCAs — Magnevist, Omniscan, and Optimark — as requiring labels with additional emphasis on the inappropriateness of their use among patients with acute kidney injury or chronic severe kidney disease. Source: Kanal E, Tweedle MF. Residual or Retained Gadolinium: Practical Implications for Radiologists and Our Patients. Radiology. 2015.